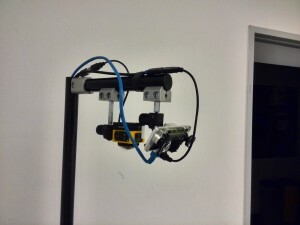 We have been developing autonomous wheelchairs since 2010. 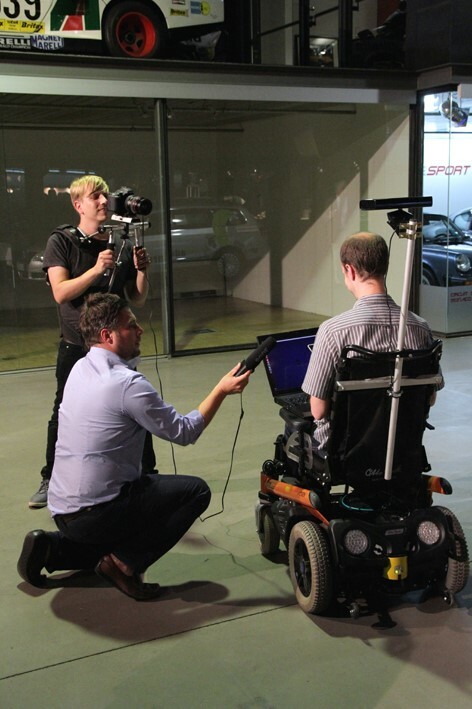 In collaboration with the company Otto-Bock we have been able to show a wheelchair being driven by voice commands, by the eye movement and with EEG sensors. Our objective is to make the wheelchair totally autonomous, so that it can transport a person inside buildings, but also between buldings, for example at the university. The autonomous wheelchair being demonstrated for the Technology Foundation in Berlin. 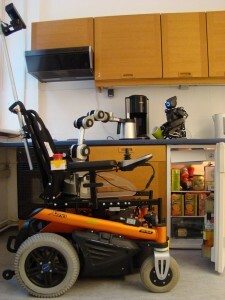 The wheelchair can also be retrofitted with a robotic arm for reaching objects (right). Driving autonomous wheelchairs outdoors is even more ambitious than driving cars. The sidewalks are crowded and the wheelchair has to navigate among persons. 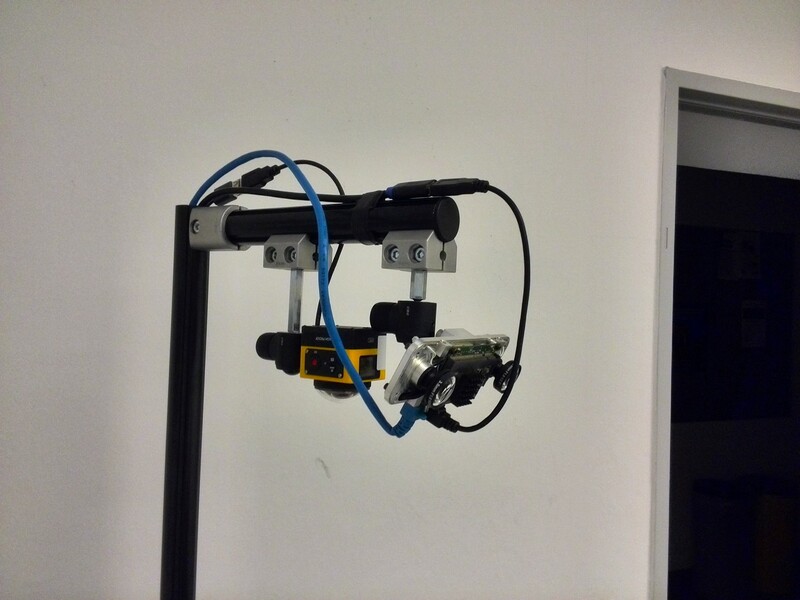 Therefore we have developed our own sensors, specially steroscopic cameras for outdoors (where Kinect sensors cannot be used).